Tokyo market gold calculated in yen; “HAGURO” No. 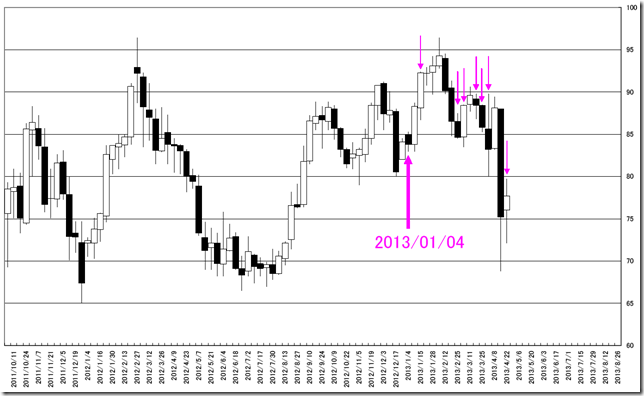 3 formation; this occasion may be the bottom formation pattern. 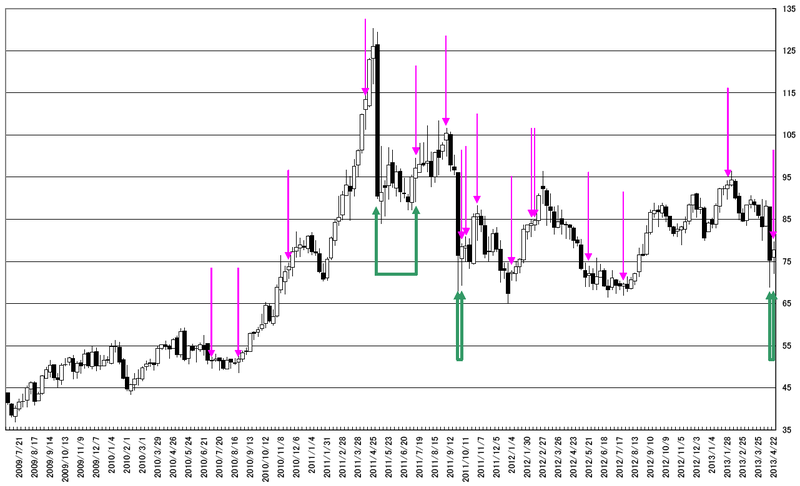 Today we analyze Tokyo market silver calculated in yen. The last week formation was correspondingly “HAGURO” No.3 formation. This formation does not imply the edge. 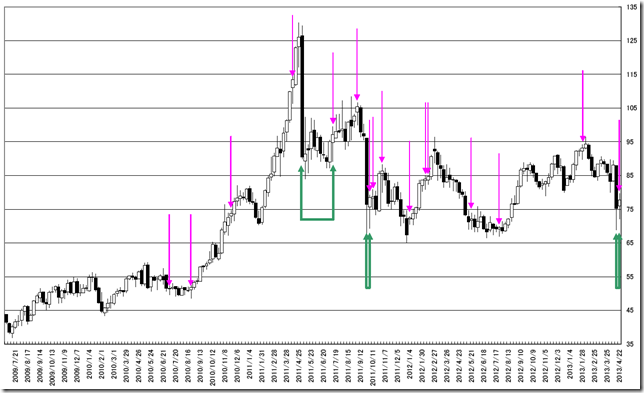 Tokyo market silver calculated in yen weekly; 07/22/2013 and 10/07/2013 week will be “HENKABI”; Automated “HEKABI” extract algorism. 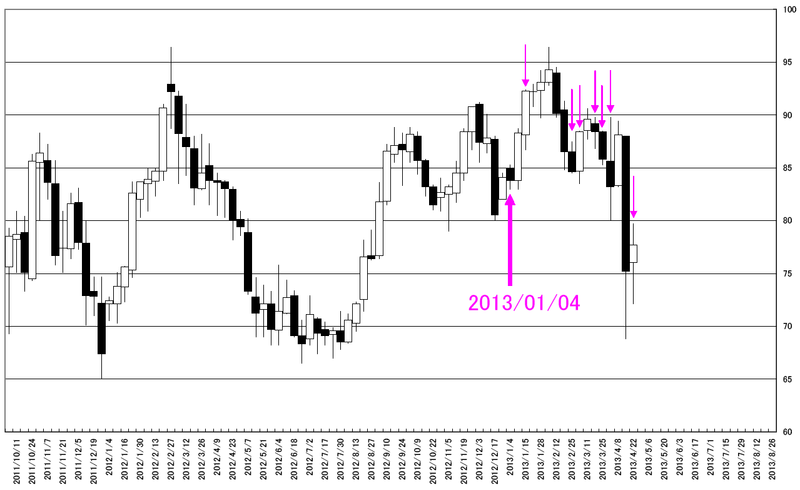 Today’s analyze is about Tokyo Silver (Weekly Data). We back to the past (03/01/2013) and analyze. The “HENKABI” weeks concentrate before the big fall. We apply our latest algorism and draw the “HENKABI”; 07/22/2013 and 10/07/2013 week.